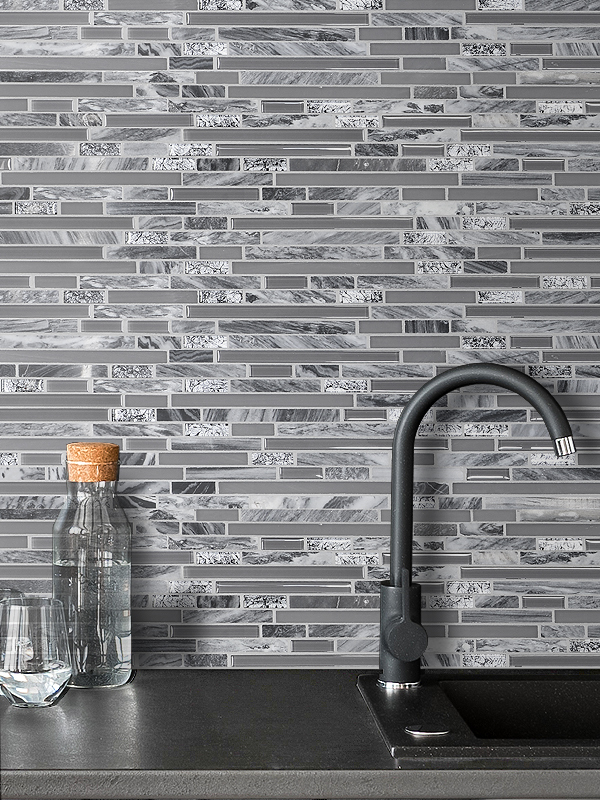 This unique gray glass marble backsplash tile is ideal for a modern kitchen and bathroom. The mix of light gray glass and dark gray marble give this glass mosaic tile a wonderful level of depth and a unique quality. The tiles in this sheet are mounted on a mesh which allows for an easy installation.